What’s The Worst Automotive Product Placement In TV Or Film? Money is what makes or breaks TV shows and movies. One of the best places to get money is from car companies, who are more than happy to turn your production into a giant ad. Sometimes it's painfully, distractingly obvious. 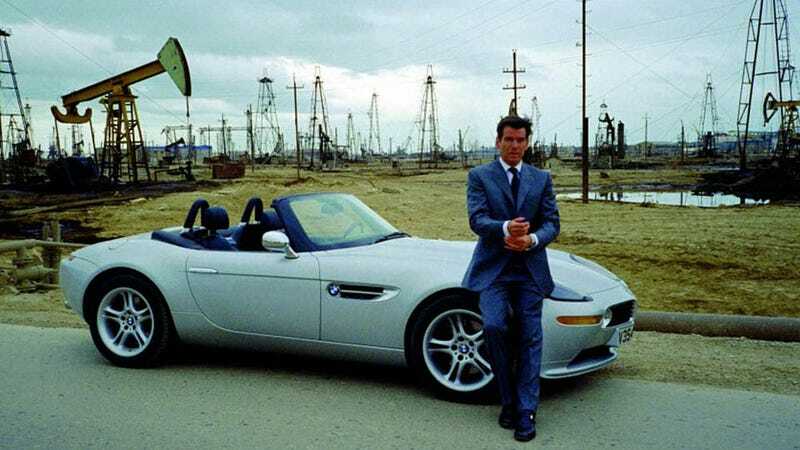 It's hard for any product placement to make less sense than when James Bond drove BMWs in the '90s. I don't care that the Z8 is a gorgeous car. Bond drives Astons. Anything else just doesn't make sense (though Bentleys may be allowed for historical accuracy). What was the most blatant, mismatched car sponsorship you've seen on TV or in a movie?